The influence of various aspects of life on wellbeing has been extensively researched. However, despite little empirical evidence, participation in leisure activities has been assumed to increase subjective wellbeing. Leisure is important because it is more under personal control than other sources of life satisfaction. 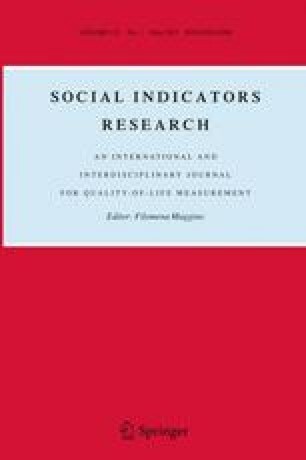 This study asked whether people who participate in cultural leisure activities have higher life satisfaction than people who do not, if different types of leisure have the same influence on life satisfaction and if satisfaction is dependent on the frequency of participation or the number of activities undertaken. It used data from UKHLS Survey to establish associations between type, number and frequency of participation in leisure activities and life satisfaction. Results showed an independent and positive association of participation in sport, heritage and active-creative leisure activities and life satisfaction but not for participation in popular entertainment, theatre hobbies and museum/galleries. The association of reading hobbies and sedentary-creative activities and life satisfaction was negative. High life satisfaction was associated with engaging in a number of different activities rather than the frequency of participation in each of them. The results have implications for policy makers and leisure services providers, in particular those associated with heritage recreation. Subjective wellbeing measures, such as life satisfaction, and not economic measures alone should be considered in the evaluation of services. The promotion of leisure activities which are active and promote social interaction should be considered in programmes aimed at improving the quality of life. We are grateful to Henk Berits of the National Trust for Scotland for his advice and encouragement. Fleche, S., Smith, C., & Sorsa, P. (2012). Exploring determinants of subjective wellbeing in OECD countries: Evidence from the World Value Survey. OECD Statistics Working Papers, 2012/01, OECD Publishing. doi: 10.1787/5k9ffc6p1rvb-en. ReStore. (2013). University of Southampton. http://www.restore.ac.uk/srme/www/fac/soc/wie/research-new/srme/index.html. Accessed 26 Apr 2013. University of Essex. Institute for Social and Economic Research and National Centre for Social Research, Understanding Society: Waves 1-2, 2009-2011 [computer file]. 4th Edition. UK Data Archive [distributor], Colchester, Essex. December 2012. SN: 6614. doi: 10.5255/UKDA-SN-6614-4.